Welcome to Busby Junk Removal's Tacoma branch. If you need old items hauled from your home you can call on the busy bees at Busby to haul for you. Our junk removal service includes pick up from anywhere on the property, sweep up from debris droppings, hauling to the transfer station or recycling center and disposal of the old goods. We can haul basically anything and everything all at once except for hazardous waste. Some examples of what we do is furniture removal, appliance recycling, trash pick up, computer recycling, tv removal, mattress removal, and any other miscellaneous junk you can find. Please, if you need a junk hauler call Busby Junk Removal at 1-877-404-5865 or book online. Household hazardous waste is one of the few items we can NOT take. However this does not include latex paint, which can actually be mixed with kity litter and thrown away as trash (make sure it is dry all the way though or you could have a messy trash can). This is NOT the same as oil or lead based paint, which is still considered harmful. 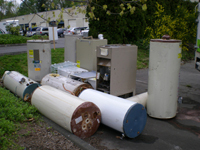 To find more information on where to take your hazardous waste in Tacoma you can consult the city of Tacoma household hazardous waste page on your Tacoma city website. This link is for small amounts of residential yard waste if you need a large amount of yardwaste hauled away you can call Busby Junk Removal (1-877-404-5865) to remove you yard debris. Have a car, truck or van taking up space in your garage, yard or property? Busby Junk Removal can get your car removed for free, call 1-877-404-5865 for more information. Live in Tacoma and need curbside trash, rubbish and garbage removal contact the City of Tacoma. 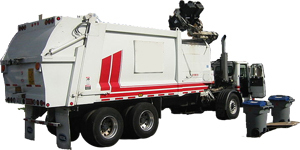 If you need a large amount of trash hauled in Tacoma you can also contact Busby Junk Removal at 1-877-404-5865. Book Tacoma Junk Removal with Busby Junk Removal - click here to schedule your appointment online. Do you need to visit the closest transfer station for the Tacoma area? The location for this transfer station is 3510 S. Mullen St. If you need some old electronic equipment hauled away please give us a call 1-877-404-5865 or you can click this link for the federal way branch of PC Recycle, your local drop off location.